Published by dsd 164 B.V. 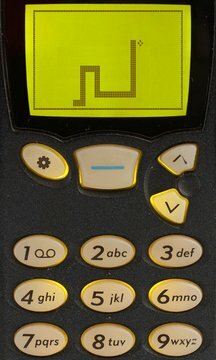 It is as addictive (and frustrating) as the original, play Snake '97 and be prepared to loose some productive hours. - in trial mode you can earn up to 250 points! The story behind this game is that my modern smartphone got damaged in an Amsterdam bar..., requiring me to revert back to an old phone. Suddenly I knew the modern smartphone was missing something and the idea for a accurate Snake remake was born.